This week’s Friday Fiction is hosted by Peej herself @ her blog, Patterings. Click here to read and share more great fiction! Author’s Ramblings: Well, I had a stroke of creative genius-LOL-yeah right, and decided not to antagonize Rachel this week and settled inside for some good ol’ confusing bouts of action. I say confusing, but I have no idea if it’ll actually make as much sense as I’m hoping it will. A whole lot of energies, super-powers, secret spy stuff, etc floating around this week. Let me know if you’re following it, I’m continuing the plot bubble from last week and thoroughly enjoying the direction this story has taken. Please enjoy the read and have a terrific weekend! P.S. for some clarification (^_^) and hopefully better explained in this piece, when Rachel called Ben, she caused trouble on his end and in order to protect her, he sent a signal to self-destruct her cellphone and it blew up so the connection couldn’t be revived, therefore putting her in danger when enemy agents attempted to establish a connection under false pretenses. Rachel slowly pulled over to the next side road that appeared. She stumbled from the bike, haphazardly pausing to yank a few handfuls of greenery over it as she aimed for the woods. Her mind had seemed to lose all control of itself, filling her head with voices and images that didn’t make sense at all. The faint blue fire, evidence of her electrical powers, glowed briefly at her finger tips, then faded. The earlier burning sensations ripped through her head, begging for a scream to leave her lips. The blue gem glowed fiercely at her throat, a soft sizzle reaching her ears. In the moment she tried to rip it away, she felt the heat sear through her skin. The necklace dug into her skin as she tried to break the once-fragile chain. A thin golden glow entwined around it, strengthening the weak material as her fingers clawed desperately to remove the one thing determined to remain with her. The fire grew stronger, burning deeper and when she finally did black out, the darkness was more welcome than she wanted it to be. An immense wave of sadness washed over him, the moment his eyes opened. Mark groggily sat up, his head vaguely throbbing. A groan left his lips, followed by words muttered beneath his breath to revive himself. I shouldn’t have fallen asleep…something happened. His eyes adjusted enough to see that he had fallen asleep on the corner pallet within his office. Mark grimaced. “Lovely.” He headed for the closet, grabbing a fresh change of clothes and throwing it into the silver tube at the corner of the room. He stepped inside and emerged a moment later, fully dressed, his hair wet. Absently his fingers ran through it as he moved to stand in the center of the room. The light within the office cubicle fizzled out. A steady stream of purple energy spilled from his right hand, slowly forming into a visible head. Mark smiled. Mavis was the fictional character created within his mind to help deal with the stress of his work, while monitoring the stability of his powers and immediate sanity. “Thank you, Mavis.” He congratulated the virtual assistant as his arms began to glow with the usual glowing tattoos coming to life as he accessed his arms of power. Bright purple lines streaked from his feet and up the sides of the walls, until they met overhead. “Status reports suspended for Rock and Hammer.” Mavis hummed. “Are the signatures the same?” Mark whirled around, pulling hard on his energies to display the necessary information for Mavis to process. Messages that had come while he’d been asleep, distress calls still unanswered and decisions made by his subconscious self. “I don’t want to feel it. I don’t want to feel any of it.” He groaned, an immense pain was ripping through him from limb to limb. Mark bit his lip, drawing blood. “Sorry Mavis.” He growled, squeezing his eyes shut. The air in the cubicle seemed to freeze and when the moment of suspension was over, all that remained was a darkened room, with a limp body in the corner. Ben paused outside the wall, feeling it lightly with his fingertips. The material, possible density and times for the rotation of the guards spiraled through his mind as he did so. He held his breath, mentally preparing for the physical change as he simply walked through the walls and to the security central contained within. A glowing core of red and blue, he extracted his cell phone from one pocket, checking the ID. It was safe enough to use that here, just barely. Any other equipment would have been too suspicious and given him away within the first week. The cell phone was riskier in terms of potential fatalities. The bead of sweat forming on his chin was angrily swiped away by one hand as he flipped open the phone, typing in the correct passwords. There was no time to think about what could go wrong at such a crucial moment. The months and weeks of careful planning, hinting and positioning were about to pay off. He didn’t dare relax, even as the mission objective was close at hand. Plugging the phone into the base of the core system, he downloaded a virus, while uploading the latest additions from their database. It was supposed to be the simple kind of pick and drop job given to a rookie, but this time, stakes were higher and someone important had gotten wind of what was going on in the lower ranks. Ben grimaced. Surviving the weeks undercover had been nothing short of a miracle. The progress bar flashed, showing the virus fully uploaded. There was a faint tingle in the back of his head and as he tried to identify it, there was a slight twinge in the tattoo hidden beneath his shirt on the left bicep. Immediately his fingers flew to the phone, making sure the upload was progressing while he accessed the files through the visual display, skimming them as quickly as he could. It was enough to simply look at the image, then scroll to the next one. If it didn’t all upload, then Mark would be able to access the information through the memory of them. The tattoo continued to tingle as he fidgeted, having scrolled through every available file when the phone buzzed. Panic streaked through him and out in the next second as he wrenched the phone from the connection, hurriedly trying to shut it off. His fingers fumbled, then steadied, succeeding in silencing the call, bumping the caller to the voicemail. Alarms rang out loudly within in and he backtracked, phasing through the wall and running soundlessly towards the cove he’d seen before. The phone continued to buzz as he glanced at the caller ID. The strange feeling from before now multiplied itself. Her name brought a series of mixed emotions and he clenched it tight in one hand, darting into the alcove and pressing the button to shut off the voicemail. Ben slowly lifted the phone to eyelevel and then opened his mouth. He painstakingly fitted it within, taking slow careful bites. The taste was disgusting, the reality of what he’d done was worse. The machine converted to energy within his mouth, trickling into his stomach as it now became a part of his body. The sound of shouts and running feet pounding through the hallway was too close for comfort. There was small consolation for the fact that at the very least, they would never find the instrument he’d used to complete the mission objective. A shadow fell dangerously close to the shadowy hiding place. His stomach churned, then settled at a simple thought directed towards it. Something hot and wet trickled down the side of his face. He reached one hand for it as the shadow stepped forward. “For a very good friend of mine.” Ben slowly wiped the tears away with one hand, the other in the air. For Rachel…because I know I won’t see her again for a very, very long time. “Not my girlfriend.” Ben forced himself to keep a light tone in conversation and his stomach settled. It wouldn’t do to let that particular energy signature come through. The thoughts circling through his head were dangerous enough, he tried to think of something different, of anything…camping, soap operas and vegetable gardens. The desperation could have brought a laugh if the situation wasn’t deadlier than it appeared. The sound of new, heavy footsteps drew the attention of all. Shane straightened up almost at once and Ben resisted the urge to close his eyes for the moment it would give him. He needed to stay as alert as he could. “Shane!” It was Logan pushing to the forefront, his burly build forced the guards aside as he leapt into the circle surrounding Ben. He was two-hundred pounds plus, of pure muscle and bad attitude. He’d taken Ben as a sidekick and now the look on his face spoke much louder than anything he could have spouted out aloud. “What’s going on here?” He boomed, the energy whip, his signature weapon, crackled to life at his utility belt. Logan turned, his gaze traveling quickly over the man standing silently a few feet away. His eyes narrowing, flickering to a vibrant green. “When was lunch…Shane?” He asked, a metallic quality to his voice as he took a step forward. He’d just figured the equation and come up with a plausible answer. No! Don’t do it, Logan…don’t! The dangerous thought was banished as Ben tried to return his train of thought to vegetable gardens. He couldn’t let Logan know that he knew. He felt the x-ray power probing and slipping through his defenses. The frozen state of his body struggled to remain still, but it was too late for any reaction. The look that passed between them was missed by Shane and company. Logan turned away, muttering something under his breath. He’d seen the new concentration of energy within him, while he tended to jump to conclusions, this time he’d be right. This was his area of specialty. Ben lifted his chin, his mind working as far as he could dare to let it go. His wrists were bare, there was no way to warp out here…not in the usual way anyhow. His mind had split in two directions, one for a distraction and one for what was absolutely necessary. He couldn’t let them take the information from him, too much had already been wasted, lost and given away. Mark’s words echoed hollowly within him. “Send for a pacifier and a blocker.” Logan said quietly, his face twisted into an expression of disgust. “I should have known…but you were good, weren’t you?” He lunged forward, collaring the new prisoner. There was no answer. Logan gave him a shake, then gave the shirt a yank. “They’re here!” Shane announced, the gaggle of guards parting to admit the necessary specialists. Two young women with smiling faces and cold eyes. They were dressed to allure, but their hands were sparking with the trademark powers they were known for. A golden chain and pink stone adorned the wrists of the curly-headed blonde to the left, while the brunette sported a golden chain with a blue gem in addition to her flowing ponytail. “One at a time, sir?” The blonde asked politely. Shane jerked back, in time to bark out the orders to the rest of those standing around. He stood back as a yell came from the corner where the two girls stood. They each had one hand on a shoulder and their energies were probing into him, ripping apart the mental barriers in their way. 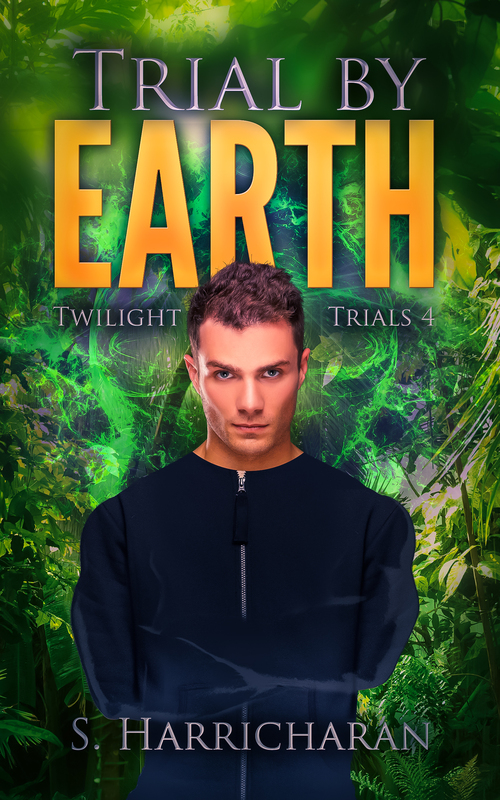 Ben struggled to focus as the hands resting on his shoulder, used the physical contact to dig deeper into his energy self, searching for what he’d eaten. His eyes rested again on the blue gem hovering just inches away from his face. The apology wouldn’t be enough, but it was an alternative he had to take. The mission was now the sole concern, his safety taking a far seat in the back. He felt the energy within him surge and overflow, pushing back both girls with a powerful wave, knocking several guards flat while causing others to stumble. His gaze zeroed in on the blue gem and he directed every precious spark through the gem using it as a platform to launch it through his mindlink…directly to Rachel. He felt the physical impact when it hit her and, struggled to keep his consciousness long enough for the transfer to complete itself. The distress call ringing through his head remained unanswered as rough hands grabbed hole of him this time. He felt the mind probe shoved through the side of his head and felt the fire ripping through his limbs. Blackness came near and he surrendered to it with throbbing in his arms still aching as he faded away. Wow – intense and intriguing. Kept me engaged throughout, girl. I want a tour of your mind, okay?